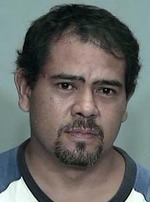 The Hawai‘i Police Department is requesting the public’s help in locating a 43-year-old man who was reported missing on Tuesday (May 24). Drake Terlep is described as Filipino, 5-foot-7, about 205 pounds with brown eyes and a tan complexion. His appearance has been altered since the above photo was taken. He now has a shaved head and is clean shaven. Terlep suffers from a medical condition that requires medication. He was last seen on May 17 in Hilo at 8 p.m.
Police ask that anyone with information on his whereabouts call Officer Courtney Bello at 961-2213. Tipsters who prefer to remain anonymous may call Crime Stoppers at 961-8300 in Hilo or 329-8181 in Kona and may be eligible for a reward of up to $1,000. Crime Stoppers is a volunteer program run by ordinary citizens who want to keep their community safe. Crime Stoppers doesn’t record calls or subscribe to caller ID. All Crime Stoppers information is kept confidential.